KEN EDWARDS’ books include the poetry collections Good Science (Roof Books, 1992), eight + six (Reality Street, 2003), No Public Language: Selected Poems 1975-95 (Shearsman Books, 2006), Bird Migration in the 21st Century (Spectacular Diseases, 2006), Songbook (Shearsman Books, 2009), the novel Futures (Reality Street, 1998) and the prose work Nostalgia for Unknown Cities (Reality Street, 2007). A book of short narratives, Down With Beauty, is in progress. 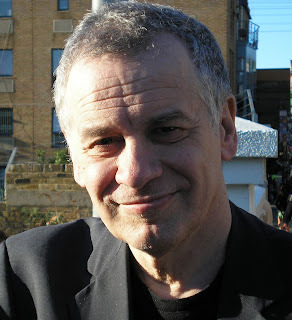 He has been editor/publisher of the small press Reality Street since 1993. He is active in music as well as writing: he wrote the text for a piece by John Tilbury for piano, voice and sampled sounds, There’s something in there…, which was premiered in Leeds in 2003, and his music for Fanny Howe’s Spiral was first performed in Brighton and London in 2004. After 35 years in London, he now lives with his partner Elaine in Hastings, on the south coast of England, where he plays bass guitar with the band The Moors. 1 – When did Reality Street first start? How have your original goals as a publisher shifted since you started, if at all? And what have you learned through the process? I started Reality Studios magazine in London in 1977, and it ran for 10 years or so. Towards the end of that period, I started publishing one-off books, for example Unpolished Mirrors by Allen Fisher. Then in 1993 the press amalagmated with Wendy Mulford’s Street Editions, then based in Cambridge, to form Reality Street Editions. Wendy ceased being an active partner by the end of the decade. The press name has since been shortened to Reality Street. In all that time, the goals have been pretty much the same: to showcase new, innovative writing in the English language, and occasionally in translation from other languages. I have learned a huge amount over the years about editing, designing, producing and (wow!) selling books without compromising on innovation. Frustration as a writer! It became apparent to me in my twenties that the kind of writing I was trying to do had no chance of acceptance by major publishing houses. Back in the 70s, I encountered amazingly exciting poets who were also publishers, such as Allen Fisher, Bob Cobbing and Bill Griffiths in London, and also the small press productions of Andrew Crozier, Peter Riley and Wendy Mulford in Cambridge (though I didn’t know those folks personally at the time). And I realised I could do it myself. The wonderful productions of Goliard and Fulcrum Press were beyond my capabilities at the time, but with a Roneo mimeograph machine and a lot of energy I could produce editions of a few dozen. The construction of writers’ and readers’ communities, for mutual benefit. Well, I wouldn’t say no one else is doing what we’re doing, but everyone has their own way. I would say Reality Street tries to avoid being cliqueish or too strongly identified with one or other faction – a great danger particularly in the poetry world. Essentially, I try to publish writing that I enjoy reading, or that I wish I’d written, or that inspires me as a writer, and hope that others will see its value too. At present, I’m trying to stimulate, for want of a better term, experimental fiction, which is really badly served in the UK. Forget trying to get bookstores, particularly in Britain, to stock your books. It just won’t happen: the corporates have got it sewn up. But of course the most effective way to sell books these days is via the internet, either through one’s own website or via online retailers such as Amazon. And also at readings and other events such as bookfairs. I’m 150% involved! But if you mean how much copy-editing do I do: well, like most small press poetry editors, I guess, I don’t generally involve myself in line-by-line editing on individual poems. Either I accept a poetry book for publication as is or I reject it. Having said that, I have made suggestions about losing whole poems or indeed adding them. Most poets I publish have a clear idea of how they want their work presented, but a few are more indeterminate, and then, if I really like their work, I’ll make strong suggestions. I have insisted on changes of title for a collection sometimes. Some poets are really bad at titles. Of course, I correct spelling and all that kind of thing when necessary. Nowadays, all Reality Street books are print-on-demand (POD). This does not mean e-books or downloadable books. I only do paperback books with spines, the difference being that they exist primarily as digital files at the printer’s, with copies being printed only when they are required. So there is no longer a “print run” as such. In all other respects, they look like ordinary books. Most casual sales are fulfilment of customer orders at bookshops or online, and the wholesaler who works with our printers deals with these directly. After they have got their cut, this means the profit on each copy is very tiny, but at least there is a profit – and upfront production costs are limited, and there is no warehousing cost. Aside from that, an important element is the Reality Street Supporter scheme. Currently, about 80 people belong to this. For an annual subscription, supporters get one copy of every book the press publishes, and their names printed in the back of the books if they wish. This support, and the interest it creates, is absolutely vital to the press. It’s basically a one-man operation, except when I rope in my partner, Elaine, to help with the chores! 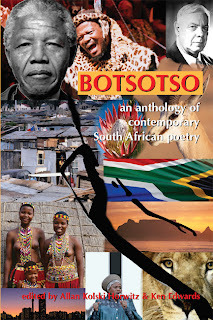 However, I work with other editors on an ad-hoc basis: for example, with Allan Kolski Horwitz in Johannesburg on our South African anthology, Botsotso; with Jeff Hilson on The Reality Street Book of Sonnets; and with Alan Halsey on Bill Griffiths’ Collected Earlier Poems. I’m currently working with David Miller on an anthology of prose fiction by poets. Occasionally I use people as sounding boards, for example for advice on whether I should take a book on or not. I have found all these relationships fruitful and stimulating, but I don’t think I’d like to work permanently with another editor now. 9 – How has being an editor/publisher changed the way you think about your own writing? The most important spin-off has been what I’ve learned from the poets and writers I’ve published. It’s been and continues to be an education. 10 – How do you approach the idea of publishing your own writing? Some, such as Gary Geddes when he still ran Cormorant, refused such, yet various Coach House Press’ editors had titles during their tenures as editors for the press, including Victor Coleman and bpNichol. What do you think of the arguments for or against, or do you see the whole question as irrelevant? This is a difficult question. As I said earlier, the original impetus for becoming a publisher was largely frustration about the lack of outlets for my own writing. In some senses the press is a way of providing a context for my own writing. That’s the selfish bit. I have published three Reality Street books of my own, two of them prose books. 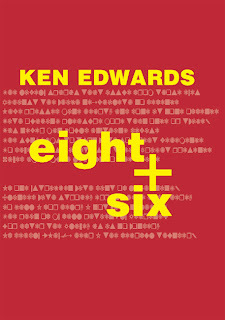 In all cases they were books I either found difficulty placing because they didn’t fit market criteria or couldn’t get another small press to do in the way I wanted: I really needed eight + six to be a small-format book with 96 14-line poems one to a page, but I couldn’t get anyone to do it like that. There is still a residual stigma in self-publishing, but it was good enough for Shelley and Blake and many others. The other side of that particular coin is that once you get typecast as a publisher people tend to forget you’re a writer. 11 – How do you see Reality Street evolving? We’re upping the production rate from a very modest four titles a year to six. Some of those will be innovative prose fiction. I need to change our printing/wholesaling arrangements to get better access to the US/Canadian readership, which is increasing all the time. I hope most of our forthcoming titles will be available at Amazon.com as well as Amazon.co.uk, which has not always been the case, and that generally I can achieve better fulfilment of customer orders in North America. Salt Publishing and Shearsman Books have pioneered massive production using POD, ie publishing in the order of a book a week. I’m not going down that route! 12 – What, as a publisher, are you most proud of accomplishing? What do you think people have overlooked about your publications? What is your biggest frustration? There is a lot I am proud about. The anthology of innovative writing by women, Out of Everywhere, published in 1996, made a big impact and continues to inspire new young readers and poets. I’m proud of doing substantial editions of outstanding poets I first met 30 and more years ago, such as Allen Fisher, Maggie O’Sullvan and the late Bill Griffiths. Denise Riley entrusted her Selected Poems to Reality Street when she could have probably negotiated a contract with Faber or the like. I’m really pleased I took on Paul Griffiths’ amazing Oulipian short novel let me tell you, entirely constructed out of Ophelia’s vocabulary in Hamlet, when no one else would touch it, even though Paul has a high-profile track record as a novelist and a writer on music. 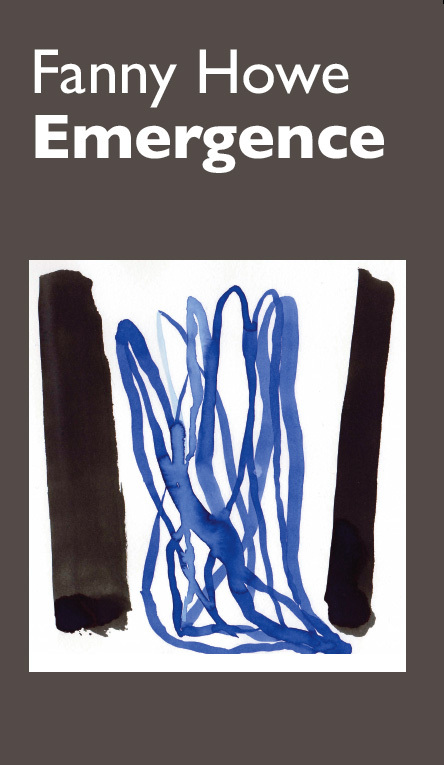 And I’m excited to be co-publishing (with New Star Books in Vancouver) the much missed David Bromige’s Collected Poems next year – Ron Silliman and Bob Perelman are doing the editing. I’m only frustrated that many of the authors I’ve published have not had the acclaim they deserve. 13 – Who were your early publishing models when starting out? See the answer to question 2. 14 – How does Reality Street work to engage with your immediate literary community, and community at large? What journals or presses do you see Reality Street in dialogue with? How important do you see those dialogues, those conversations? In Britain, Salt, Shearsman, Barque Press, West House Books are some of the presses publishing similar kinds of innovative work, and also Oystercatcher Press, which publishes only pamphlets. But a number of mini-presses are starting to flourish, linked to younger poets in a rejuvenated poetry scene. There are interesting reading series in London (Crossing the Line, The Blue Bus, Openned), Brighton (Desperate for Love, Chlorine), Manchester (The Other Room) and Cambridge. There aren’t many print magazines left to challenge the more venerable ones such as PN Review. One that has emerged in the past year is the Cambridge Literary Review, and Poetry Wales has become more lively recently. On a smaller scale there is the irregular If P Then Q. Poetry Review, published by the Poetry Society, has reverted to conservatism after an interesting period four or five years ago when avant-garde poets were given house-room. Online is where much of the action is: Great Works, onedit, Signals, Intercapillary Space and various blogs and internet forums. 15 – Do you hold regular or occasional readings or launches? How important do you see public readings and other events? Yes, it’s important; each Reality Street book gets a launch reading if possible, sometimes in conjunction with one of the reading series I’ve mentioned. 16 – How do you utilize the internet, if at all, to further your goals? The internet is absolutely vital to small presses in this century. If you are not on the internet, you’re not visible. I completely refurbished the Reality Street website a couple of years ago, and added a blog. It now gets 20-30 hits a day – nothing compared to Silliman’s Blog, but it all adds up. It’s a shop window for the books and the authors – each author gets a page to him or herself. 17 – Do you take submissions? If so, what aren’t you looking for? 18 – Tell me about three of your most recent titles, and why they’re special. Bill Griffiths’ Collected Earlier Poems is probably the best introduction to this wildly innovative British poet, who died prematurely in 2007. The wonderful Fanny Howe has a small book of poems from her formative years in Emergence – this is her second Reality Street book. 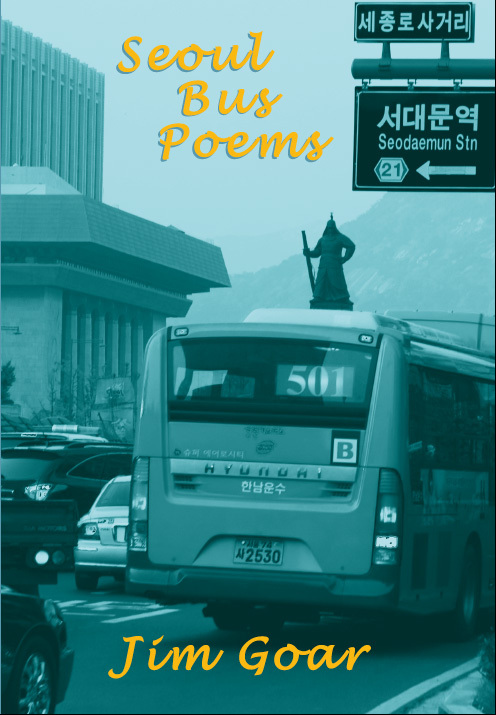 Jim Goar is a US poet previously based in Norwich in the UK and in South Korea, whose Seoul Bus Poems came out of the blue – it’s great, I loved it, I published it.